Nanae Kawahara blog from 2010 to 2011: Dog, dog, dogs! Hello, dogs. 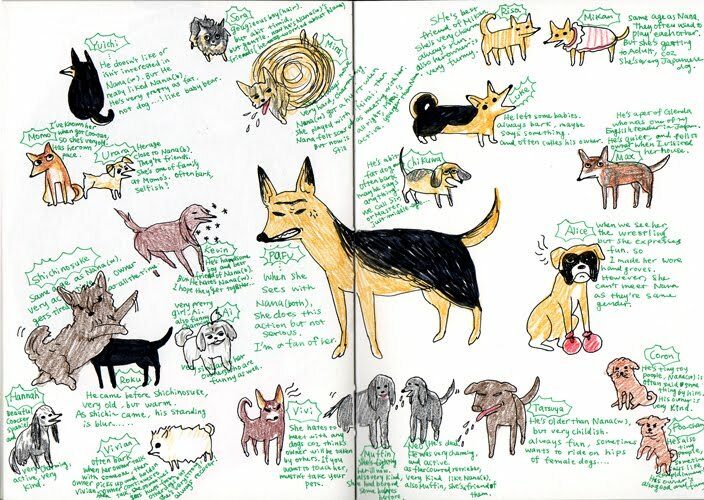 I drew many dogs which are friends of Nana. Yesterday, I remembered them very hard because I don't have any pictures. My memory was fine, so could. I really miss them, and also my dog Nana. It'll be reflected to my project.